VIVA, the Kingdom’s most innovative telecom operator, has launched an exclusive promotion on its Cristiano Ronaldo mobile portal service “CR7 Live @ VIVA”. From February 5th – 29th , all VIVA customers subscribed to CR7 Live @ VIVA service will get an instant chance to win one of 19 exciting prizes, including a BMW 318i Sedan MY 2016, cash prizes of $1,000, 10 grams of gold and smartphones. With CR7 Live @ VIVA service, Cristiano Ronaldo fans in Bahrain can get the latest updates on their favourite footballer directly on their mobile devices. VIVA’s mobile portal provides exclusive access to the famous footballer’s background and latest facts, statistics, news and more. VIVA subscribers can also access Cristiano Ronaldo’s official videos and pictures, which are available for downloading, along with exclusive behind the scene photos. 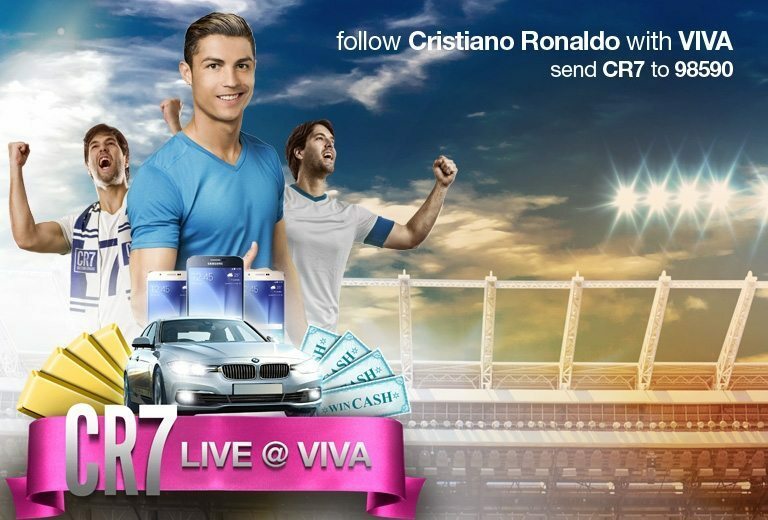 VIVA Postpaid and Prepaid customers can opt into CR7 Live @ VIVA service by simply sending an SMS with the word ‘CR7’ to 98590 or by subscribing at www.cr7.viva.bh. Once activated, football enthusiasts can enjoy the exclusive content provided by VIVA in both Arabic and English under an easy auto-renewal subscription for only 100fils per day.